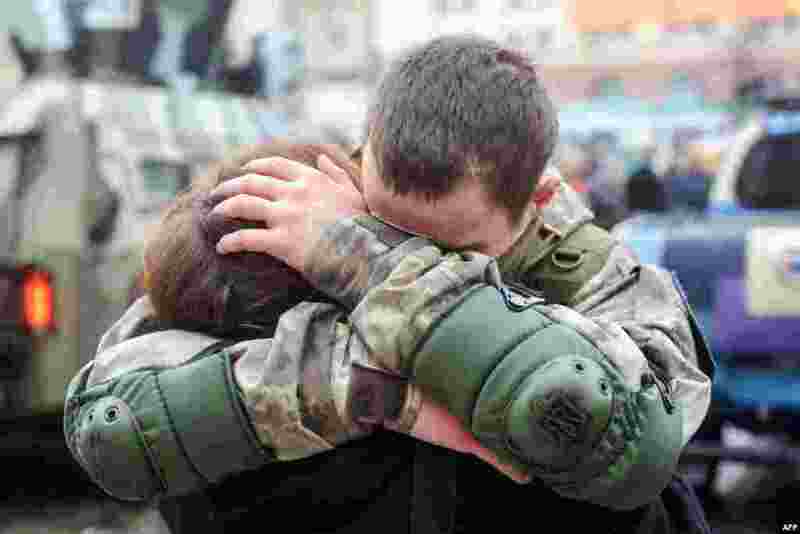 1 An Ukrainian policeman embraces his wife during a ceremony in Kharkiv, northeastern Ukraine, before his departure to the east of the country where he will take part in an "Anti-Terrorist Operation" (ATO). 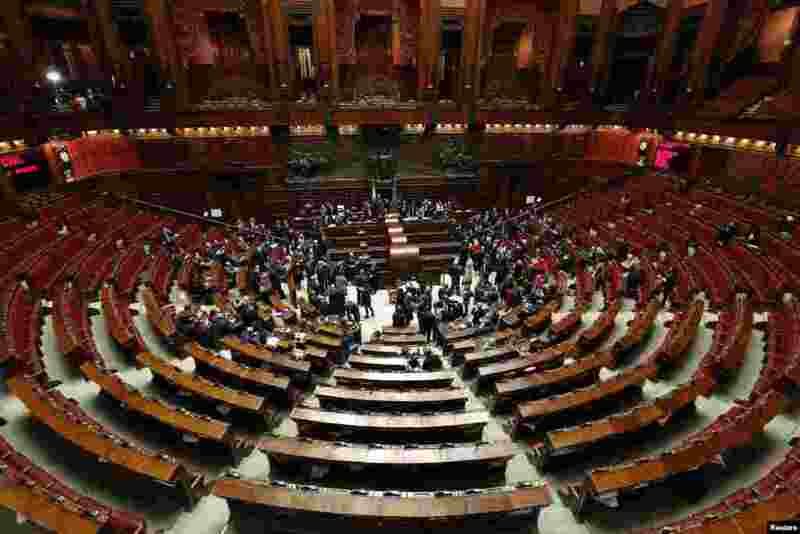 2 A general view of Italy's Chambers of Deputies as it begins voting for a new president in Rome. Lawmakers failed to elect a new president in a first round of voting on Thursday, leaving Prime Minister Matteo Renzi hoping to push through his candidate only in a fourth round when the required threshold of votes is lower. 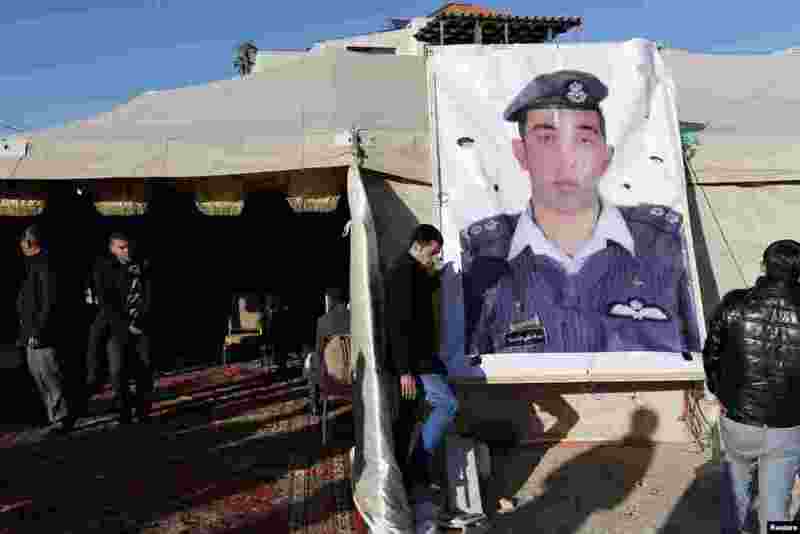 3 Relatives of Islamic State captive Jordanian pilot Muath al-Kasaesbeh place a poster of him in front of their new gathering headquarters in Amman. Japan and Jordan scrambled on Friday to find out what had happened to two of their nationals being held by IS, after a deadline passed for the release of a would-be suicide bomber being held on death row in Amman. 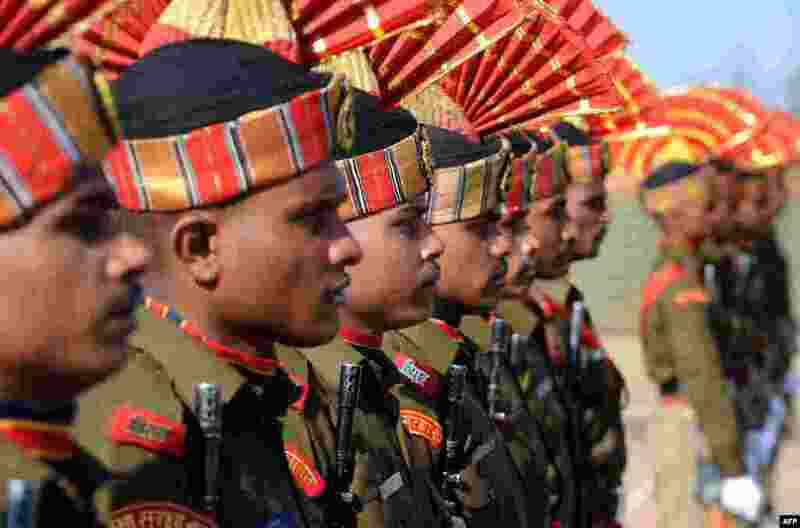 4 Indian Border Security Force (BSF) soldiers participate in a parade in Humhama, on the outskirts of Srinagar. Some 333 trained constable recruits were formally inducted into the BSF after completing 44 weeks of training.